Mads Mikkelsen gets my vote for Geralt! The Witcher Saga, the series of eight novels that inspired the hugely successful Witcher video games, is getting its own Netflix TV series. 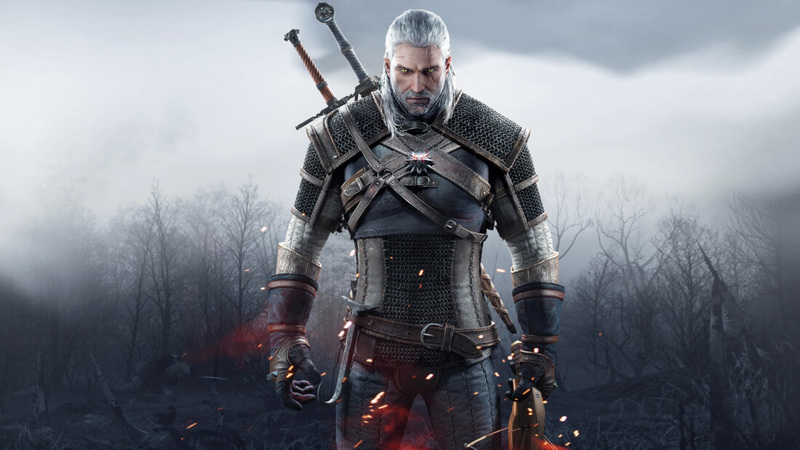 Author Andrzej Sapkowski will serve as a creative consultant on the show, while CD Projekt Red, the studio responsible for the games, won't be involved. Platige, the Polish production and visual effects company co-producing the project, reports that the fantasy books will be brought to life as an English-language drama series that features the powerful monster hunters. “I’m thrilled that Netflix will be doing an adaptation of my stories, staying true to the source material and the themes that I have spent over thirty years writing,” Sapkowski said in a press release. The show will have some big names supporting it, including Sean Daniel (The Mummy, Ben-Hur, The Expanse) and Jason Brown (The Expanse) as producers. Platige's Tomek Baginski, who directed intro videos for every Witcher game and the Cyberpunk 2077 teaser trailer, is also onboard for the project. He will be directing at least one episode per season. Executive producers Baginski and Jarek Sawko assured fans that the series would remain faithful the themes of the novels. "There is a moral and intellectual depth in these books which goes beyond genre. It is a story about today and today’s challenges, hidden under a fantasy cover. It is a story about us, about the monster and the hero inside all of our hearts,” they said. No word on the actors that may appear in the show, which sounds like it could become Netflix’s Game of Thrones. But if he’s available, Mads Mikkelsen would surely make an excellent Geralt.